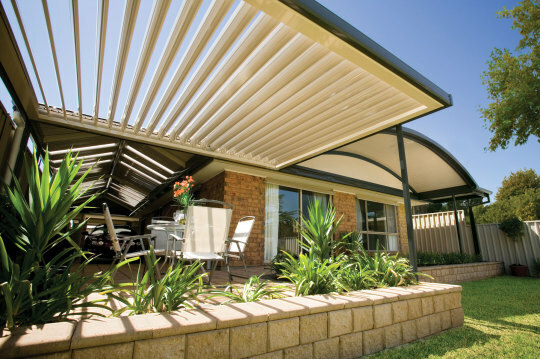 Take control of the weather with the innovative Stratco Outback Sunroof Patio. Open and close the electronically controlled louvres to your desired position. Let the sunlight in when the weather is fine. Provide protection when the clouds set in.